Google has finally acknowledged its 10th birthday with a logo that celebrates the beginning of Google and where it is today. In case you didn't notice, Google had two birthday logos, the one pictured and another one with the old Google logo donning party hats. 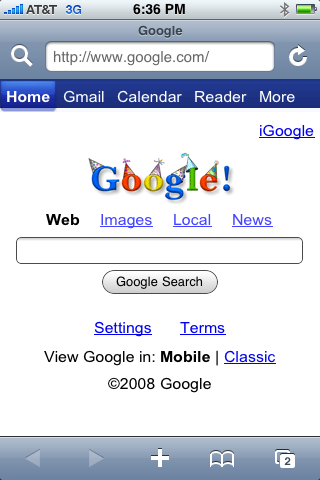 In case you wanted to know more about Google's 10th birthday, you can read about it here. Rather than follow a rigid top-down master plan, the company's direction and success has been shaped by decisions often taken independently of how they'll benefit the company as a whole. But collectively, those decisions DO form a master plan, a hive mind that dictates what the company will do. Google has been able to "organize the world's information" and expand upon this vision with many additional features. Google ran into some concerns with contextual ads, but they went ahead with it anyway. Google bought Blogger which caused some fear among competitors. ...and there's more. But all details are in Danny's writeup. So, what are your reflections on Google's 10th birthday? Forum discussion continues at DigitalPoint Forums and Sphinn.